Clint has been part of the Real Estate Industry for well over 20 years. Prior to his real estate career at the lake, he held various executive positions with banks throughout the Southeast. Since moving his family to the lake in 2002, Clint continues to be publicly recognized for his contributions to the Lake area, both in Real Estate as well as in Humanitarian Services. As a Multi-Million dollar sales agent, Clint’s approach to Real Estate is twofold. First, “Service Above Self”. The needs of Clients must be met with understanding, compassion, timeliness, accuracy, and with unwavering competence. This approach has led to years of satisfied clients willing to share their personal experiences leading to real estate referrals which has enabled Clint’s portfolio to flourish year after year. Uniquely enough, “Service Above Self” is also the mission statement of Rotary International. As you can see from below, Clint continues to play an integral role in providing philanthropic services to our community. Secondly, “Making informed decisions”. Typically, real estate investments are one of the most significant transactions people will make in their lifetime. To that end, educating the client about current market trends and general conditions that are specific to the lake, enable clients to make effective businesslike decisions. Through education and information sharing Clients are enabled to reach decisions that are best suited for their family. 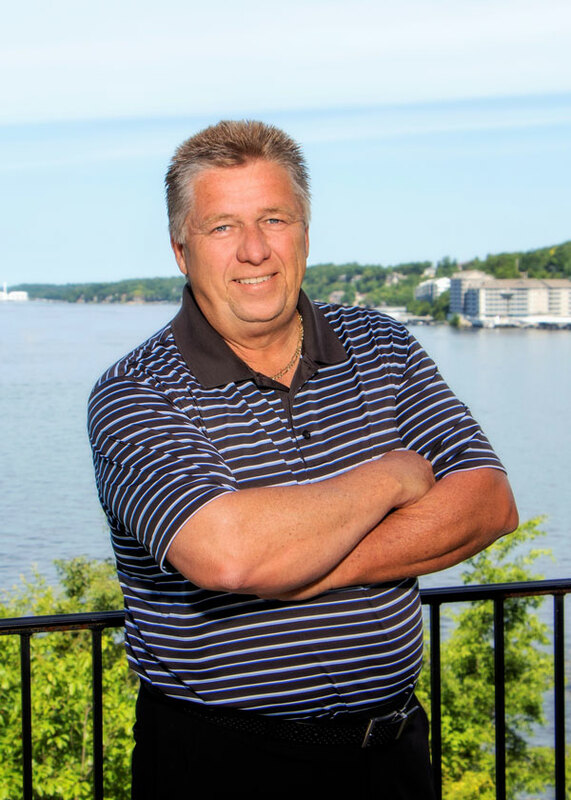 From a random property search far across the Lake to the next dozen or so homes we toured together to narrow my search, Clint Ladouceur is professional, informative, patient and charming. When it came to making the final decision to leave the city Clint had to do some pep talking and hand holding which he did by educating me each step of the way. As the market has changed and our neighborhood has seen home listings and sales, Clint has always been there to give feedback – the service didn’t stop at the sale, which is priceless in an agent! I have dealt with Clint on a variety of projects…. undeveloped land parcels, residential lake homes, rehabilitation projects, and commercial ventures as well. In each instance, he has demonstrated a high level of product knowledge, the ability and acumen to negotiate the best deal, and most of all, someone I can Trust and is always there for me whether I’m buying or selling Real Estate.